The Constitution of Georgia stipulates that the state language of country is Georgian. 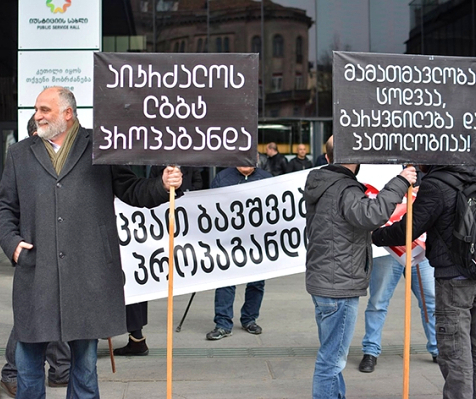 The status of the official language creates grounds for, on the one hand, the social isolation and exclusion from economic and political spheres of people who do not speak Georgian and, on the other hand, the banning on the use of a minority language in administrative domains. 79 year old Nargila Hamidova, a resident of Sadakhlo village of Marneuli district says that the linguistic barrier has made them feel isolated from Tbilisi and they have little interaction with the majority Georgian populations: “Our social and economic links are overwhelmingly to Azerbaijan. Trade is done in Azeri or Russian, rarely in Georgian. We feel alienated and isolated from the rest of the country that we reside in. Although we are the citizens of Georgia and said to have equal rights as citizens, the lack of the knowledge of the state language has formed us into secondary citizens, in fact”. In Kvemo Kartli, Azeri is predominantly spoken. Even though the region is close to Tbilisi, ethnic Azeris maintain less economic and social ties with Georgia than they do with their kin state. Linguistic isolation makes these ties ever closer. 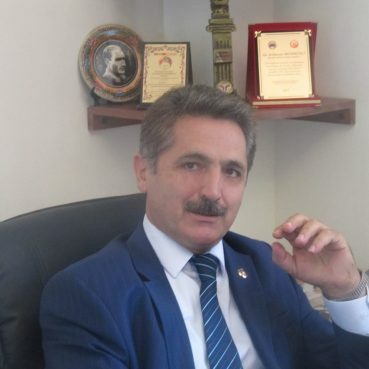 Zalimkhan Mammadli, the head of Borchali Public Union. The language of administrative proceedings shall be Georgian, in accordance with the applicable Law of General Administrative Code of Georgia. 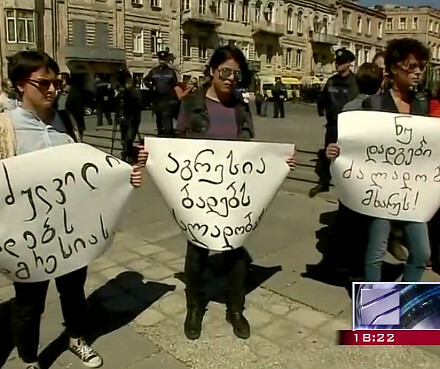 As all communication and correspondence are conducted in Georgian, ethnic Azeris who do not speak Georgian struggle to access public services. 24 year old Tajir Jalilov, a native of Iormughanlo village of Sagarejo district says: “Azeri language may be spoken when accessing public services in our village. However, no multilingual public services are officially provided. Because all official documentation and correspondence have to be submitted in Georgian, there is no guarantee that we can access those services in or mother tongue”. 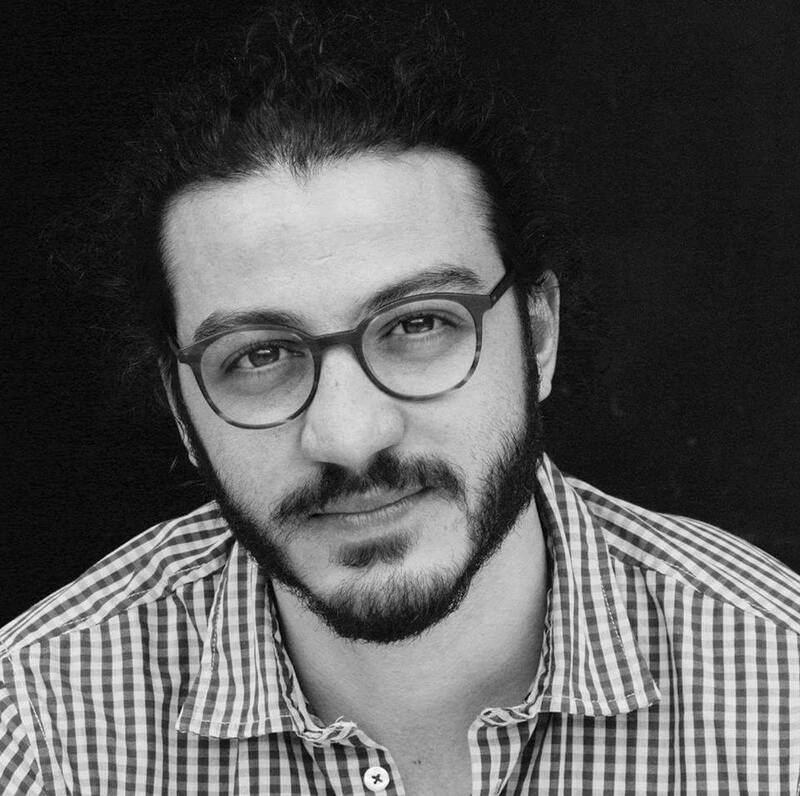 Alibala Asgarov, the head of NGO Geyrat. As reported by the Community Center of Iormughanlo village, Azeri minorities need to acquire official documents, submit official complaints only in Georgian. Applications submitted in languages other than Georgian are not reviewed. An official of the community center said that if non-Georgian speaking citizens want their concerns represented at the community or higher level, they have to use translation services at their own expense. Legislation is only published in Georgian and not available in minority languages, added the official of the community center. 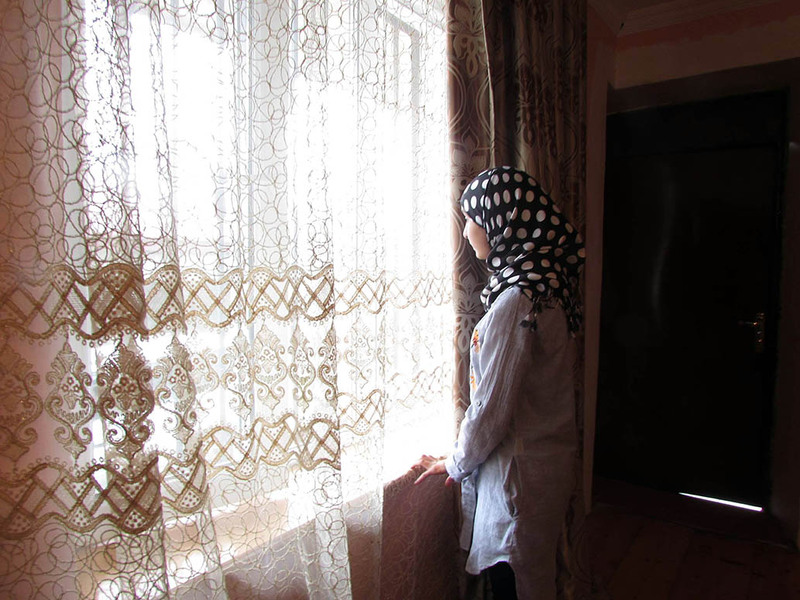 Ethnic Azeris of Georgia also face difficulties accessing information in the Georgian media because of the language barrier, the phenomenon which can only accentuate the isolation and alienation felt by these communities in the Georgian society. According to Musa Musayev, a 62 year old native of Sadakhlo village of Marneuli district, on account of the information vacuum, even sometimes they are becoming vulnerable group for hostile propaganda: “As little information from the Georgian media is available in languages understood by us, we often rely on foreign news sources for information, such as Azerbaijani or Turkish media. As a result of the information vacuum, the information is late to reach, sometimes even in a marred form. Some foreign, including Russian channels also accessible through satellite, but the programmes they broadcast are highly politicized and biased against Georgia. Regarding this issue, Alibala Asgarov, who heads the NGO Geyrat, mentions that it is important to encourage the production of programs with translated subtitles and dubbing in the minority languages. Ethnic Azeris political participation and representation – a key to more effective integration – is disturbingly low. In the 150-member Georgian Parliament there are only 4 Azeri representatives. Very few government officials at higher levels are of Azeri origin. This reflects the general situation in Georgia, where all decision-making positions are held by ethnic Georgians. The predominantly Azeri populated Kvemo-Kartli region has never had an ethnic Azeri governor. Only the deputy governor is ethnic Azeri. Azeris are also significantly underrepresented in local government. In Marneuli the mayor, in Gardabanai, Dmanisi, Bolnisi the deputy mayor are Azeris. 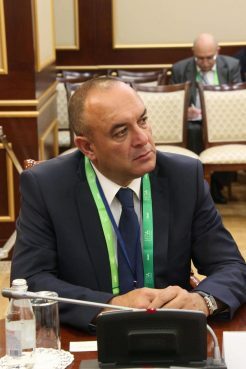 This is mainly due to the fact that the government relies on only ethnic Georgians run local affairs and partly because of the insufficient knowledge of Georgian by ethnic Azeris. According to the Report on the Situation of the Protection of the Human Rights and Freedoms in Georgia in 2017 released by the Public Defender of Georgia, ethnic Azeris tend to be better represented only in local councils at town and village level in the regions they densely populate. Azer Suleimanovi, Member of the Parliament of Georgia. 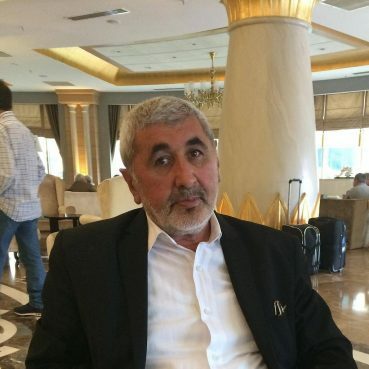 The opinion of interviewees and experts make it clear that ethnic Azerbaijanis of Georgia should have the right to an identity, and the right to participate in the social, economic and political life of Georgia. This implies, first of all, the need to promote the official language of Georgia. At the same time, the right of ethnic Azeris to use and develop their native language should not be undermined as it should be recognized as part of the linguistic and cultural heritage of Georgia. It is also undeniable proof that strong integration of ethnic minorities into the whole society of a country would prevent a possible outbreak of any interethnic tension and conflict. This article was prepared in the frame of a project implemented by the Human Rights House Tbilisi with financial support from the Embassy of the Kingdom of the Netherlands in Tbilisi. The article does not express opinions of Human Rights House Tbilisi or the Embassy of the Kingdom of the Netherlands in Tbilisi, the views expressed in the publication are the views of the author only.